For the third time this season, Stan Wawrinka and Kevin Anderson will meet to determine who will move on to the next stage of the tournament. And for the third time this season, Anderson will look to upset the reigning Australian Open champion at a Masters 1000 event. 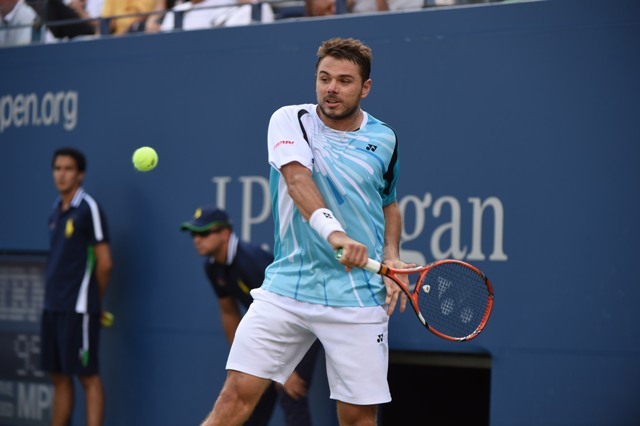 This is the sixth overall meeting between the pairing, with Wawrinka leading the overall head-to-head series 3-2. After suffering three consecutive first round losses following the US Open, Stan Wawrinka finally returned to his winning ways on Wednesday afternoon when he defeated Austria’s Dominic Thiem in straight set, 6-4, 7-6(6) to reach the third round of the Paris Bercy. “I started this tournament off pretty well, which I usually don’t do because usually I need time to adapt,” said Wawrinka. “But today I played well from the start. After reaching the quarter-final at this event last season, 14 seed Kevin Anderson will look to match his tournament-best performance this week in Paris. He began his quest with a 6-4, 7-6(8) win over Santiago Giraldo, where he struck 12 aces and converted 4 of 5 break point opportunities to close out the win in 1 hour and 55 minutes. 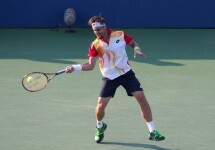 This is the sixth time that Wawrinka and Anderson will meet on the professional circuit, with the Swiss No. 2 leading the series slightly 3-2. While that may be the case, Anderson has won both their meetings this season and is poised to pick up his third straight win to level the series and advance to the quarter-final round in Paris.